"Space archaeologist" would be a fine job description for a fictional character on an interplanetary mission to unearth the ruins of an alien civilization. But a handful of real-life archaeologists are already making a bid to study culture in space – of the human, not alien, variety. The plan is to treat the space lab like archaeologists would treat an ancient site. 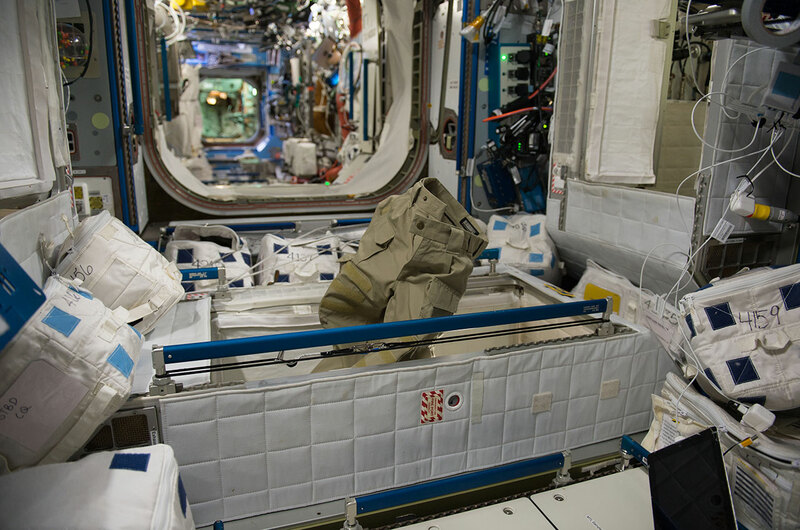 By looking at astronauts' artifacts — from their food utensils and sleeping bags to their religious icons and family photos — these researchers hope to gain new insights into how astronauts of different backgrounds interact with each other and adapt to life in microgravity. The Australian Research Council has awarded the ISS Archaeology Project (ISSAP) a two-year Discovery Grant worth $244,400. Our plan is to use the ARC funds to hire a database engineer and a graphic designer to develop a database to hold the data and metadata associated with up to one million photos of the station's interior over the last 18 years (you can read more about the methodology in this blog post from last year). We will now also be able to start a formal relationship with space agencies such as NASA, and to gain access to the datasets that will form the basis for this phase of our study. Finally, with the ARC support, our co-PI's will be able to travel for sustained periods to the US and Australia, respectively, to manage the project, and to attend conferences around the world disseminating our results.